When you’re divorcing a narcissist, the rules are different. In a “normal” divorce (if there is such a thing), people get angry and then they get over it. They do stupid things, but then they feel sorry about it. Their divorce craziness is more like temporary insanity than a permanent mental illness. Divorcing a narcissist is a whole different ball game. When you’re divorcing a narcissist, they never get over it – even if getting divorced was their idea! They will consistently do what’s best for them, no matter who they hurt in the process – even if it’s their kids. What’s worse, they never feel sorry for what they do. Never. 10 Rules for Managing a Narcissist in Divorce! When you’re getting a divorce, it’s easy to jump to the conclusion that your spouse is a raging narcissist. S/he no longer seems to care about you – at all! S/he does things on purpose just to hurt you. 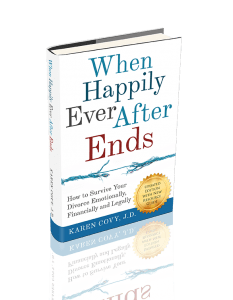 What’s more, your spouse seems to have turned into someone you no longer even recognize: selfish, childish, and totally oblivious to everyone else in the world – especially you! Yet, there is a big difference between someone who displays narcissistic tendencies during a divorce, and someone who is a true, full-blown narcissist. According to the DSM, narcissists have a grandiose sense of self-importance. They feel entitled to everything. They believe they are special. They have no problem taking advantage of anyone. They are often envious of others and they lack empathy. On the surface, that definition could describe most of the people you find in divorce court. The truth is, narcissism is what is known as a “spectrum disorder.” It exists on a continuum. You can have a few, mild narcissistic traits. (Most of us do!) You can have a full-blown narcissistic personality disorder. Or, you can fall somewhere in between. Divorce rarely brings out the best in anyone. The stress and uncertainty of divorce can easily heighten any narcissistic tendencies your spouse may have. That’s why so many people going through a divorce seem to be narcissists. Yet, true narcissists didn’t just start acting out during their divorce. They were acting out long before then. Divorce may have made their narcissistic behavior worse. But it didn’t fundamentally change their personality. 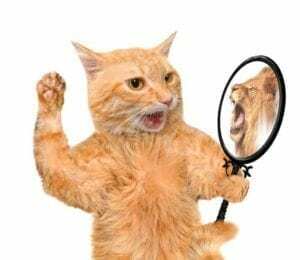 While it’s tempting to want to demonize your spouse when you are going through a divorce, especially a hotly contested one, labelling your spouse as “a narcissist” probably isn’t going to help you much in your divorce. In fact, it could actually hurt you. Judges and lawyers hear spouses call each other names all the time. So, calling your spouse a narcissist isn’t going to convince anyone that it’s true. It also diverts your attention away from the real issues in your divorce. The bottom line is that, trying to prove your spouse is a narcissist is the surest way to guarantee that you get sucked into his/her drama. If you want to avoid the drama, you’ve got to take a different approach. 1.Forget about having an amicable divorce. If being married to a narcissist seemed like hell, divorcing a narcissist is hell on steroids! Separation and divorce trigger the narcissist’s deepest insecurities and fears of rejection and abandonment. While no sane person wants to spend years of their life and tens (or hundreds!) of thousands of dollars on legal fees in their divorce, narcissists are different. For narcissists, divorce is not just the end of their marriage. It is a full-blown existential crisis. Don’t expect them to go down without a fight. Narcissists feed on your emotions. They enjoy getting a reaction when they push your buttons. They LOVE drama! So, the more you act and react to what a narcissist says and does, the more the narcissist wins. 3.Accept that everything is going to be your fault … at least according to your spouse. Narcissists don’t accept responsibility for their own bad behavior. Ever. They are also hyper sensitive to criticism. That means that, at least as far as the narcissist is concerned, nothing bad is ever their fault. By default, that means that if something bad happened, it must be your fault. In divorce, “Fair” is just another four letter word that starts with “F.” Nothing about divorcing a narcissist is going to be fair. Period. Full stop. 5.Do your best to limit your court time. The legal system is a narcissist’s Disneyland. They thrive on conflict and court room drama. The same legal hearing that has your stomach tied in knots for weeks in advance, gives them an emotional high. The problem is, none of the alternatives to going to court are going to work well when you’re divorcing a narcissist either. (Another, sorry!) Plus, they are all voluntary. So, no matter what you do, you’re likely to end up in court. While you can’t stop your spouse from going to court every other day, you can work on dialing down the drama on your end. Don’t initiate court action unless you have no choice. When you do go to court, keep your cool. 6.Don’t assume that the judge will see through the narcissist’s B.S. Narcissists, especially those who are attractive, successful and financially well-off, excel at charming people. Remember: they charmed you, too! They WILL charm the judge … at least at first. The only way to show the judge your spouse’s true colors is with evidence. You will need to present the court with cold, hard facts. Making impassioned, emotional pleas to the judge only makes you look crazy. Plus, your spouse is probably doing his/her best to manipulate the judge into believing that YOU are the real bad guy! You’ll be much better off keeping your mouth shut until you can prove every word you say. One of the narcissist’s most common tactics is known as “gaslighting.” S/he will purposely say or do things to make you question your own sanity. A narcissist will lie or “change the story” in order to manipulate you into believing what s/he wants. What’s more, narcissists can be so convincing at doing this that eventually even you start doubting yourself on an epic scale. 8.Rally your troops around you as soon as you can. Expect your spouse to try to separate you from your family and friends. S/he will play the victim to everyone, and will try to make everyone see you as the bad guy. What’s more, your spouse will try to get to your family and friends first, so that s/he can convince them that you are horrible, while s/he is innocent. The sooner you can build your own divorce support group, the better off you will be. It doesn’t matter if some of your family and friends side with your spouse. All you need is a core group of people who know you, believe you, and can be there to emotionally support you as you go through your divorce. Plus, you are also going to need a good therapist, someone who understands narcissistic behavior, and can keep you from feeling like you’re the crazy one. Engaging in daily battles with your spouse will drain your energy and keep you from making forward progress on the things that really matter to you. Unfortunately, if you have kids, you are going to need to deal with your spouse all the time. You will have to communicate with your spouse, whether you want to or not. 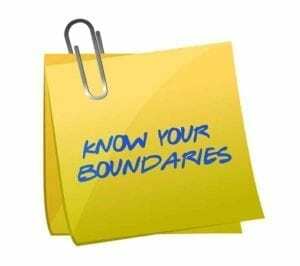 10.Set boundaries and stick to them. Narcissists have no boundaries. They have an extreme sense of entitlement. They believe they deserve everything they want. Other people, including their kids, exist simply to serve their needs. What’s more, because they lack empathy, they can’t even understand that anyone else has needs. If you don’t set firm boundaries with a narcissist, you will forever be a pawn in their own private chess game. You need to establish what you will and will not tolerate. 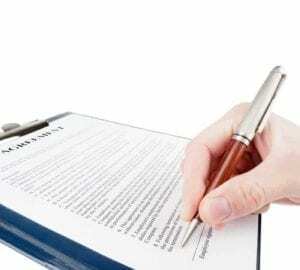 When you make agreements, you need to put them in writing and make them as detailed as possible. Then you need to enforce your agreements all the time. 10 RULES FOR MANAGING YOUR HIGH CONFLICT OR NARCISSISTIC SPOUSE IN DIVORCE. Thank you for your knowledge of the Narc and taking the time to put this together. Knowledge is power so will use all of your information for my benefit. All I can say is WOW. How did you know this?! Spot on….and very sad. My wife is displaying all of this. I agree with this article 100%. My ex kept suing post divorce. Vitamin B Complex can help you not take the bait and remain calm. Proof keeps a narc accountable. Don’t expect fair but do expect to get out the best you can. Instead of coparenting try parallel parenting. And use no contact or gray rock method, eventually they get board at your lack of emotions. It took 8 years of divorce and post divorce battles but he did eventually move on. And I have healed and I am happy. Great article. I would know from experience- the hard way – she gives sound advice. Glad you liked the article! Thanks for the tip about Vitamin B Complex. I didn’t know that! This article is excellent and very informative. I’m dealing with this situation currently. So basically, it sounds to me (and this is what I’m experiencing) that any hope for mediation/settlement with a narcissist is unrealistic. Court/trial is the only real option when dealing with such a person, is that fair? Mediation is not likely to go well with a true narcissist, but Collaborative Divorce can. If you have a strong professional team, it might be possible. But, I would talk to your Collaborative Attorney about your situation honestly and see what s/he says. My husband down to a T…..the lengths he has gone to is baffling to me…the way he paints me to anyone who will listen is shocking…can’t believe this is the same person I loved so many years ago….its all frightening. I’m so sorry. Hang in there! I am going through this currently as well. I am amazed daily at the lengths he goes through to ruin my life even at the expense of our children. Thanks for this article – I need reminding on not focusing on fairness. I just filed my third divorce petition with my state because my husband refused to do anything with the first two. This article hits the nail on the head with my current situation and it was uplifting to read because I could connect and not feel alone in this matter. I truly hope I can come out of this marriage sooner than later. Thank you again for your article! I am living every word of this and doing research on my husband. He is a full blown Narc and the behaviors are true to this disorder. Thanks for all your advice; it’s very helpful! This is amazing. Popped up on twitter yesterday after the 7th hearing in my divorce from a 1-1/2 year marriage to a woman who suffers serious personality disorder. This is so spot on… try to avoid the courts indeed, but good luck. I am appealing for a trial by jury. I hear it is possible, but we live in a tiny town in AZ and the judge and her lawyer are drinking buddies. She could afford the only good lawyer in town because she drained the accounts completely… -$688 to be exact. I feel awful for anyone having to deal with this, and I am sorry I am not the only one. No, you’re definitely not the only one. Sorry you had to join this crowd! It blew my mind to see Kelly Jones, ExWife of INFOwars is dealing with this too! If that maniac has access to his children at all, you know something is broken Hahahaha. Seriously, I don’t know what else to do. I want to just post all of the evidence on social media. It might help me keep a shred of sanity to share my whole story. She lied so much my lawyer could not keep up with it all… it was just brutal. Thank you for this article and your website! I have just realised that I am going through this… No divorce yet, just the shock, the pain, the panick, the sadness… all at once! My wife has been torturing me for so long that I completely lost me ability to trust myself, I lost my self-worth, I judge myself through her eyes all the time and the worst part is that I can see what she is doing to our children. She has all these things: massive sense of entitlement, zero empathy, no boundaries, never takes responsibility, always blames me for everything, uses our children to make herself look good, completely distorting reality all the time, endless manipulations… To make things worse, my friends and relatives live so far away that I am isolated completely. She is the only adult around me. I need to stop her and the damage she is causing to our children and me somehow ASAP!!! I’m so sorry to hear what you’re going through. Honestly, to keep yourself sane, I strongly recommend that you start working with a therapist while you’re going through your divorce. A good therapist can help you see reality more clearly. S/he can keep you from doubting yourself all the time (which you’re probably used to doing … a lot!). S/he can also help you start building your own confidence and your trust in yourself. As for how to stop a narcissist’s damage, the best you can do there is to work on becoming stronger yourself. It will also help to have a good lawyer. You don’t necessarily want a pit bull. That kind of lawyer can make the fighting worse. But you also don’t want someone who will be a pushover either. You need someone who will be both strong and reasonable. This article has been very helpful. My official process is over, but every step has been pulling teeth to get done, and the children have been totally alienated. I keep pushing ahead, and my new life is coming along better and better. Articles like this really help in that process, as has support in a variety of ways. I’m glad this article helped! I hope things continue to go better for you! should I go ahead an file or get him to agree on divorce terms. He asks like he is fine going ahead but asked for me to wait until after the holidays. I know he won’t agree on the financial arrangement part. what to do? I can’t tell you what to do since I don’t know either you or your husband. If he asked you to wait until after the holidays and you don’t, he’ll probably be upset and won’t agree to anything. If you do wait, he still might be upset and not agree to anything. So it all comes down to whether you want to start now or later. If you start now, you’ll be dealing with this through the holidays. If you don’t, you won’t. But, if you start later, you’ll likely end later too. Ultimately, you’re the only one who can choose. I haven’t yet started anything but am close to wanting to change my situation. We’ve been married for almost 17 years and together for 21. I am so afraid of what he will do, especially since I am not financially independent. But I need for something to change. I can’t let my boys live this and think that it’s normal behavior and treat their partners the same way when they are older. Not sure when and how to begin but hoping that my therapist will help with that. It’s just sad that things have to be this way and my kids have to go through it as well. I have finally accepted that this is the person that I chose and it’s okay that I made a mistake. God help all of us. Never in my dreams did I expect my life to turn this way. I’m so sorry. Seeing your life turn out differently than what you wanted or expected is hard. It’s a big part of what makes divorce so difficult. Kudos to you for getting a therapist. That’s a good first step towards understanding yourself and deciding whether (and when) to change. You might also want to take whatever steps you need to become financially independent. As long as you have to depend on someone else, they have power over you. By being able to support yourself, you take control over your own destiny. Hang in there! You’re going to be okay.